Each of my mods has a “venue.” By this, I mean, higher-end mods like my Asvape Michael stay safely in my office. My Alien and ProColor are pocketable for nights out. My compact Reuleaux RX Gen 3 is great for the garage, because it’s not easily knocked over. The dual-18650, 220-watt SMOK OSUB King is my newest “throw it in the car and forget it” mod. That’s not because it’s not good – it actually vapes well, for the most part. But its… pedestrian design, and “been there, done that” feel makes this seem a little extraneous. But a vape mod cannot be judged by what came before, so let’s dive into the SMOK OSUB King kit, to see if there’s something here for you. 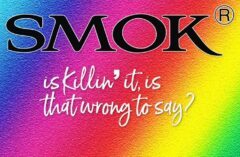 SMOK is nothing if not consistent. 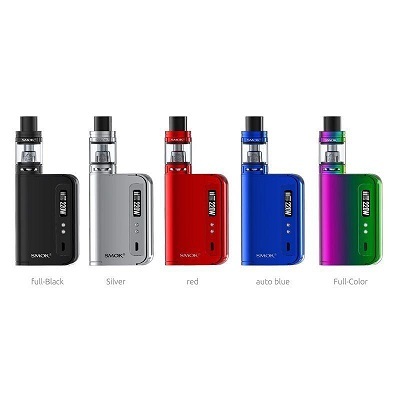 The OSUB King kit comes in the company’s standard “brick” packaging, with nicely cut foam inserts, and the same assortment of goodies inside, including spare O-rings, USB cable, poorly translated documentation, and the SMOK Big Baby tank and parts. 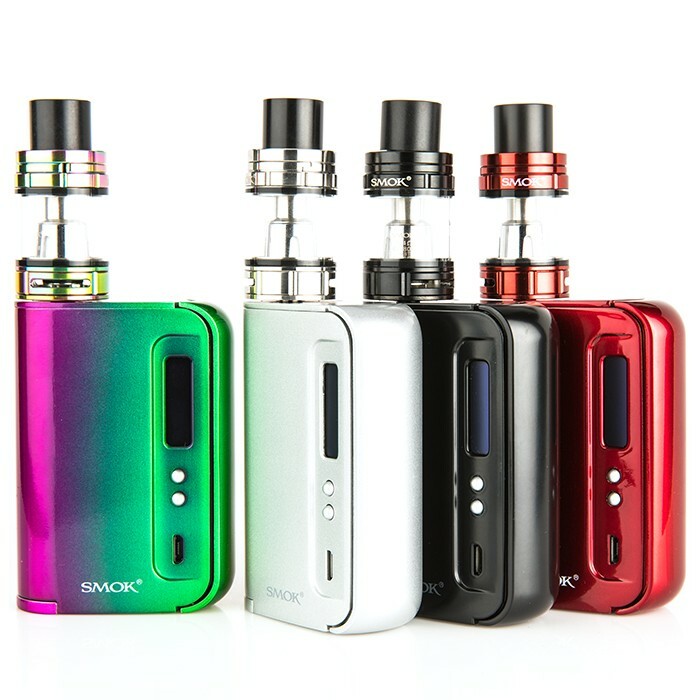 Yes, SMOK believes so deeply in its Big Baby line of sub-ohm tanks, it appears again in this kit, alongside a pair of coils. 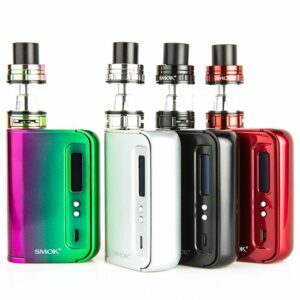 Certainly, a capable tank, but at the time of this writing, SMOK has just released the latest in the product family, the top-airflow X-Baby. Strange that the company wouldn’t feature that device instead of the Big Baby here. Picking up the OSUB King, the first word you’ll likely utter is “solid.” Because the device is built like a Sherman tank. Whereas SMOK’s more popular mods are also solid, they are entirely more stylized and nuanced. The OSUB King, by comparison, is large, stout and could come in handy in a bar fight, if things get a little rough at the end of the night. Looking a little closer, my black test model was polished to a glossy sheen, and all machining seemed up to SMOK’s usual high standards. The firing bar returns in a modified form, and has a nice balance of clickiness and a short, punchy throw that makes it a pleasure to fire. At 81.5mm x 57.8mm x 25mm, the OSUB King is a little squattier than most mods in this range, but it more than makes up for it with width and heft. The 25mm width and recessed 510 connection allow most of today’s top tanks to sit flush with no gaps or overhang. The small, but bright OLED display is standard fare for all but the newest vapers, showing the necessary information – battery life, wattage/temperature, voltage, coil resistance, puff counter and puff strength setting. All in all, the OSUB King crams a lot of information into the display, without making things overly complicated. The bottom of the device features a snug-fitting hinged battery door, and ample venting holes, ensuring things stay cool during high-wattage use. My only real complaint about the feel of the OSUB King is the up/down control buttons, which are nothing more than hard, round buttons that are too closely positioned, and really awkward to use. As part of the design scheme, these buttons make sense, but after a small amount of regular use, they become extremely uncomfortable. 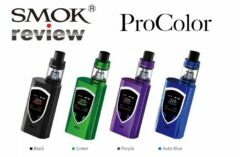 A side note – with the Alien series, SMOK gained a reputation for poor paint quality. I’m happy to report that the OSUB King does not suffer from the same problem. The high-gloss finish is durable – surviving several dings and drops on my desk – but WILL attract fingerprints like a new piano. The other downside to the sheen is how slick the device becomes after sitting in your palm. Within just a few minutes, I found the heavy OSUB King sliding easily out of my palm on more than one occasion. This is one mod to which I’ll want to add a silicone skin. 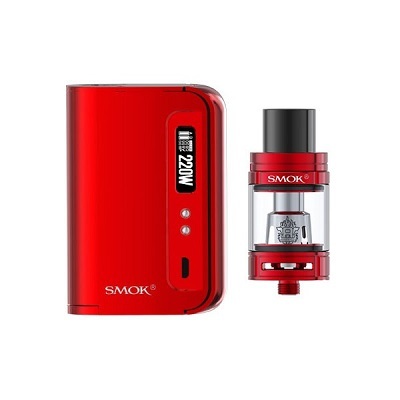 As mentioned earlier, the well-known SMOK firmware is in place here, and it remains one of the most usable, navigable basic systems available. With the well-established long-click hold/press scheme, new vapers can easily learn this menu tree, while experienced vapers will jump right in with little learning curve. The OSUB King is advertised as a 220-watt mod, but regular Spinfuel VAPE readers know this isn’t always achieved with high-powered new devices. Fortunately, the OSUB King mostly lives up to its billing, regularly hitting 200 watts with ease. I did notice a little “stutter” when going above this mark, with several misfires and pulses on extended draws. However, I never once got a warning or device error, nor did the OSUB King ever become too warm to hold comfortably. In the temperature control suite, the OSUB King hits a few snags. Though it supports nickel, stainless steel and titanium, up to 600F, I ran into countless issues with the mod throwing out “dry coil” and “no atomizer” warnings at random, even when the tanks were secure and adequately juiced. Time and testing produced some workarounds, though my successful nickel and titanium builds largely felt as if they were the result of luck, not building skill or device accuracy. Also, there is no TCR mode on the OSUB King mod, so TC vapers will have to tinker with different builds until they find their sweet spot. I eventually did with a nickel build and enjoyed a flavorful, if a little underpowered, experience. It was good, but hardly worth the amount of effort required to get there. The OSUB King is hardly a nuanced, precise vape device, and is better suited for straight wattage setups. Using the included Big Baby tank (reviewed here) and the installed 0.2-ohm Q2 coil, I enjoyed days upon days of thick, tasty clouds, right around 80 watts. When I pushed higher (using other tanks) the OSUB King handled it without one complaint. The three puff strength settings make incremental differences in puff time and immediacy, but the default “Normal” setting is more than enough for most vapers. I found the OSUB King to have a favorable ramp-up time, and almost no lag between button presses and firing. Battery life for the OSUB King is impressive. On a set of fresh 18650s, I enjoyed nearly seven hours of moderate vaping before the low battery warning flashed on the display. Considering how often I changed coils, settings and wattages, this was a nice discovery. No, the OSUB King isn’t going to win any design or innovation awards in 2017, but when it comes to efficient power, there are few better, especially at this price point. Likewise, there is little the OSUB King does that you can’t find elsewhere. But what it does, it does pretty well. Still, the question remains: What IS the target market for the OSUB King? Sub-ohm newcomers would probably want something a little smaller and more refined. Experienced Vapers have likely moved on to more advanced devices. Most high-wattage Vapers have devices like this in their collections already. 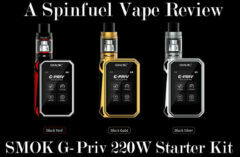 Given SMOK’s own growing lineup of feature-rich mods, not to mention countless competitors, it’s difficult to decipher where the market lies for the OSUB King. In everyday use, the OSUB King proved itself a worthy vape device. While not the most pocket-friendly mod out there, it is slim enough to be discreet, and is a fairly comfortable device to use overall. Though users with smaller hands might find it a bit unwieldy and heavy, when compared to other mods in this category, the OSUB King is hardly oversized. However, the OSUB King’s temperature control flaws are glaring, and were largely responsible for the lower score (with a little help from the awful up/down control buttons). But for customers seeking a no-nonsense device, and no-frills wattage vaping, the OSUB King is a device well worth considering.